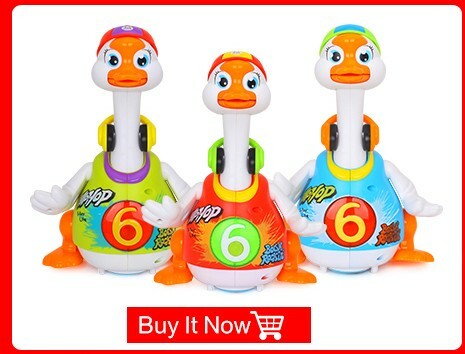 This dancing goose will keep you and your child entertained as he dances and raps for you to three hip-hop style songs. 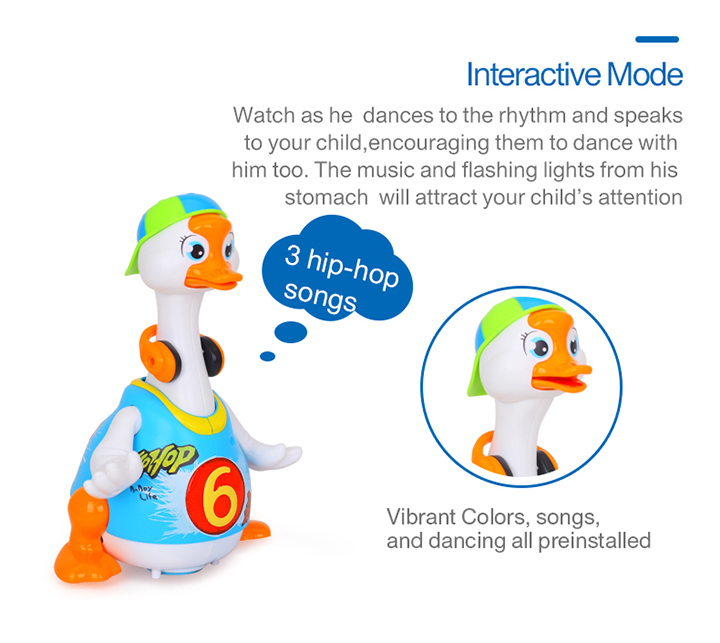 Watch as he dances to the rhythm and speaks to your child, encouraging them to dance with him too. 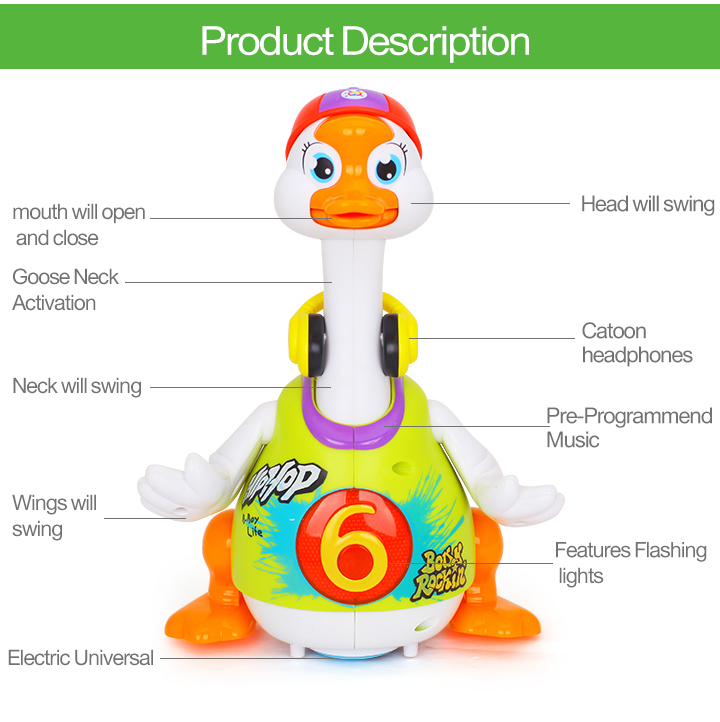 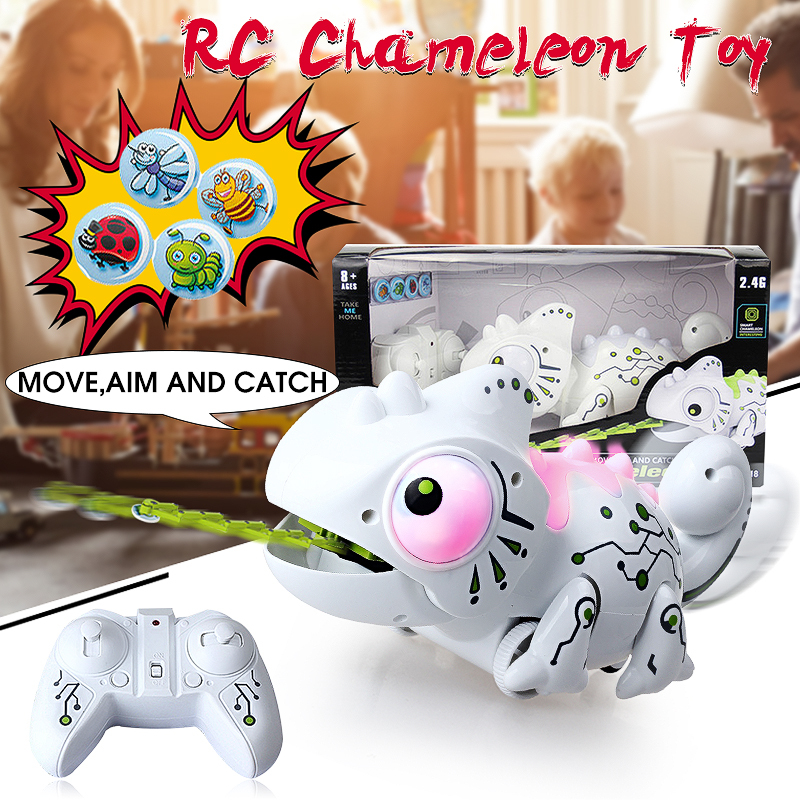 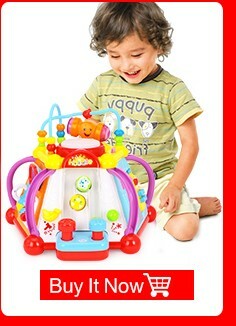 The music and flashing lights from his stomach will attract your child’s attention. 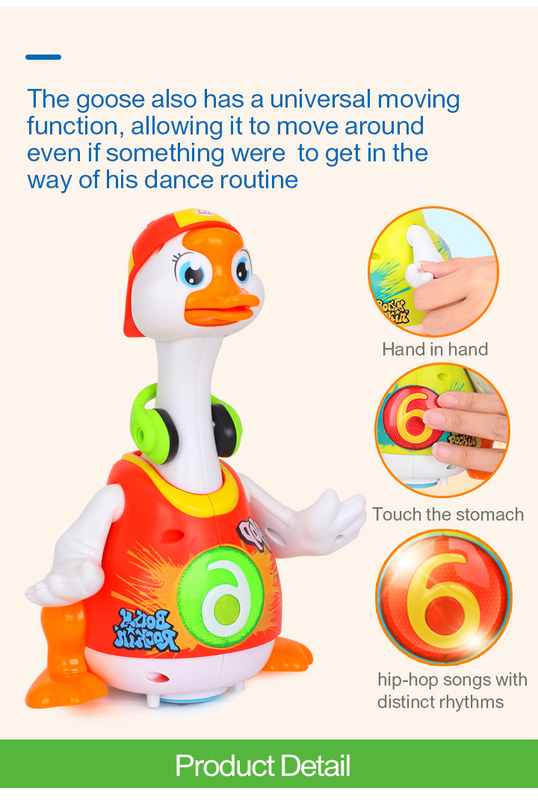 The goose also has a universal moving function, allowing it to move around even if something were to get in the way of his dance routine. 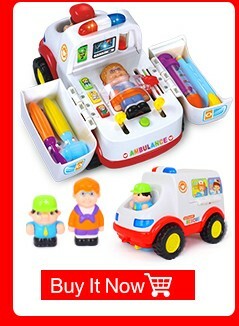 When you pick him up by his neck he struggles and tells you to put him down so he can continue to dance. 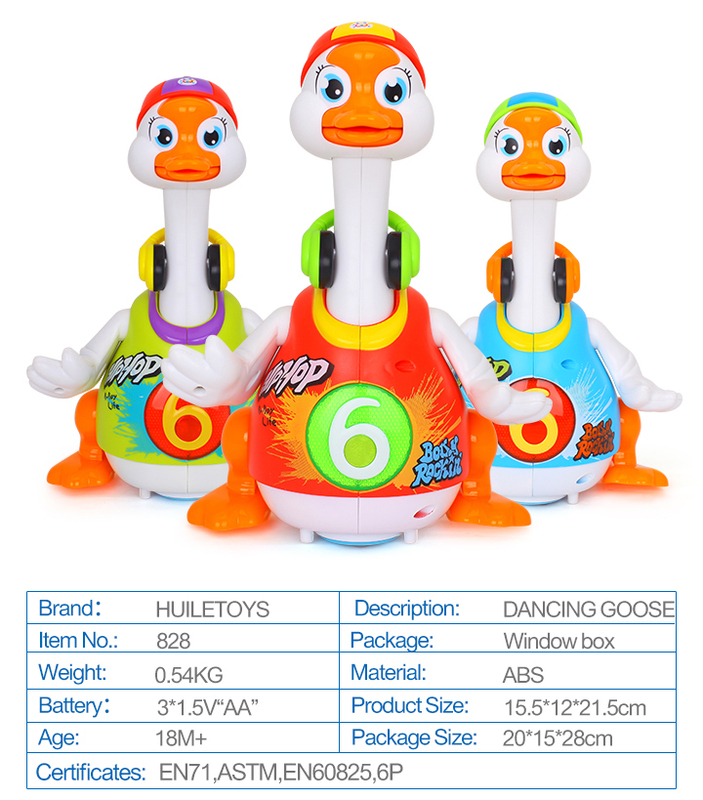 The vibrant colors of the dancing goose, along with his hip-hop style swag, complement his funny personality. 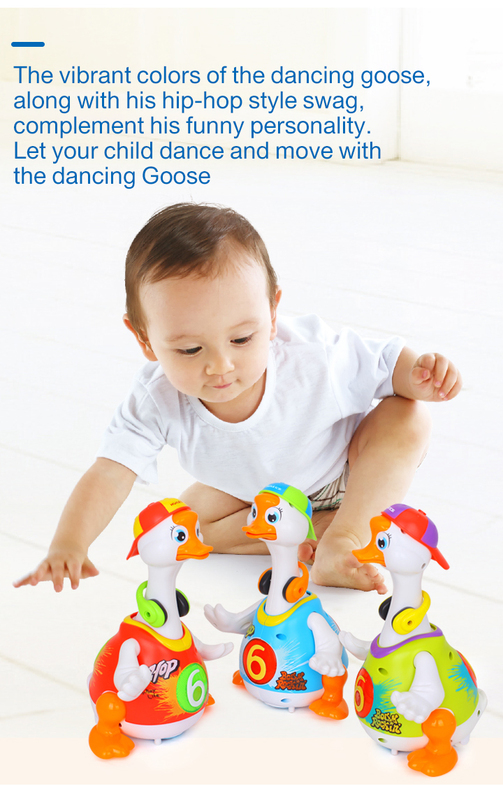 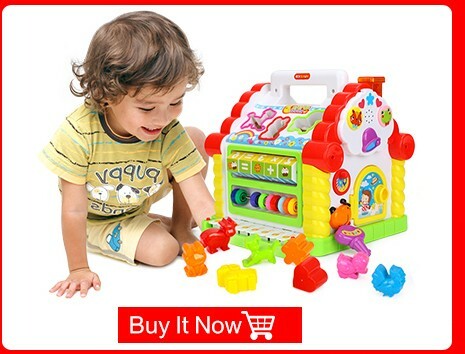 Let your child dance and move with the dancing Goose. 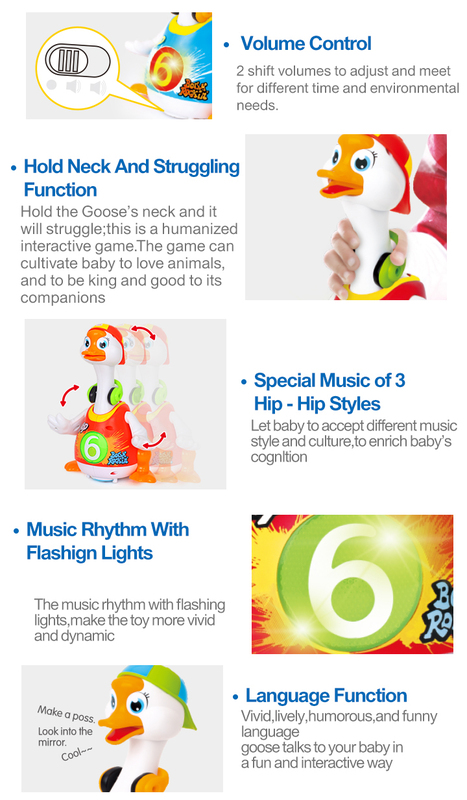 Imitating and chasing the goose can exercise baby\'s limbs large motor skills. 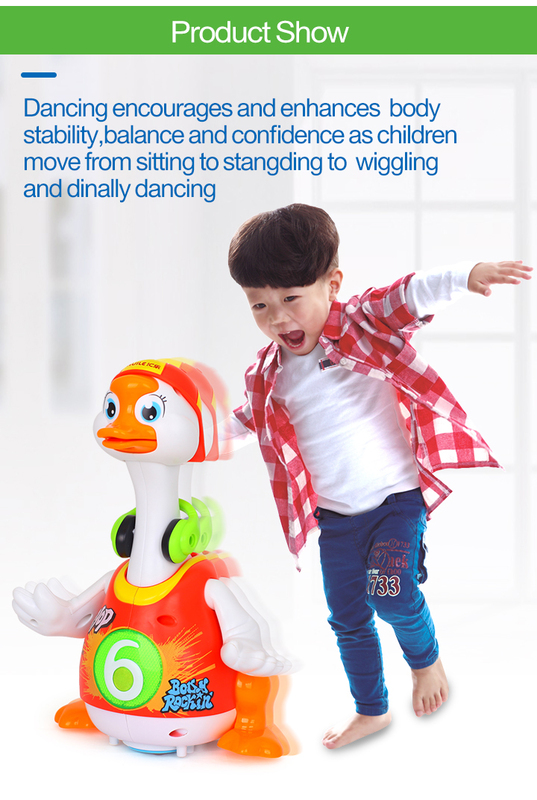 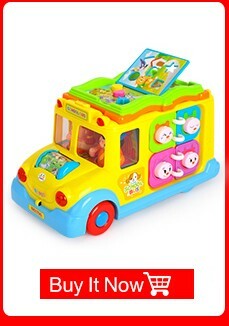 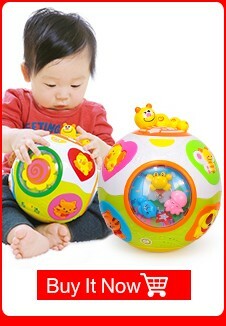 The child will enjoy dancing and moving with the universal moving function installed in the goose.